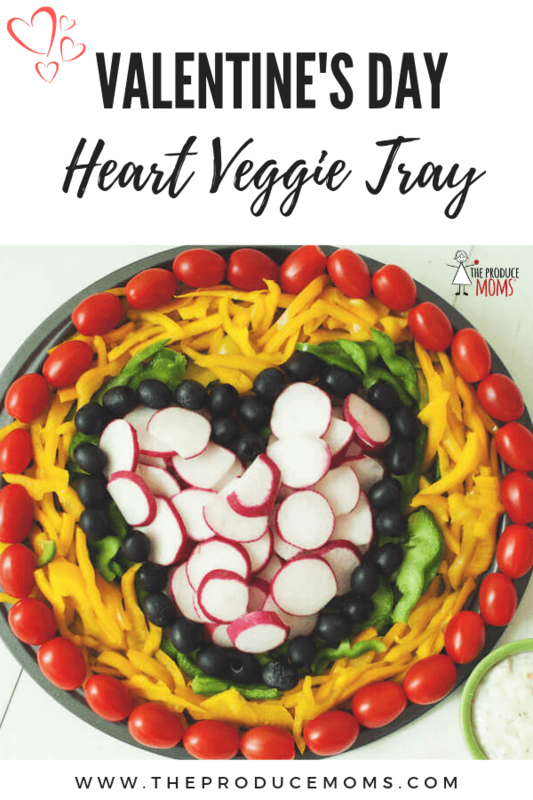 Your family & friends will fall in love with this Valentine’s Day Veggie Tray! One of the best parts of creating this party tray is being able to exchange any of the vegetables for your favorite picks! Choose cucumbers instead of green bell pepper or carrots instead of yellow bell pepper. If you desire, this tray can even be made with your favorite fruit picks — the possibilities are endless! Thinly slice all of the vegetables above. Arrange on a serving platter starting with the radish heart in the middle. Use the picture above as an example. Serve with your favorite vegetable dip & enjoy! Love this Valentine’s Day Veggie Tray? Then you’ll really love our free eBook, “A Fruit and Veggie Tray for [Almost] Every Holiday.” Download it here.